Human beings are inherently social. From a young age, we’re taught how to interact with those around us, and it’s made a priority for us to understand how to communicate effectively. We join clubs, form friendships and rely on one another for help and encouragement. Our social nature brings great joy to our lives, and we need it to survive. Throughout the aging process, seniors may begin to feel left out of social circles and are especially vulnerable to feelings of loneliness and isolation. This blog post will explore the causes, symptoms, consequences and ultimately the cure to loneliness in some of our most valuable community members – the elderly. Why are seniors more prone to loneliness? As we age, our social dynamics undergo change. Friends and family move farther away, loved ones pass on and our own mobility may limit our ability to attend social outings like we used to. Social contact in general decreases once an individual reaches retirement age and leaves the work place. Some elderly adults face fatigue or the requirement of oxygen once they leave the comfort of home, so many will opt to stay to themselves. Unfortunately, this is one of the primary causes of loneliness. Other factors include lost ability to drive, budget restrictions or the lack of proper medical equipment necessary to be out in public. Is this affecting my loved one, and if so, how can I tell? 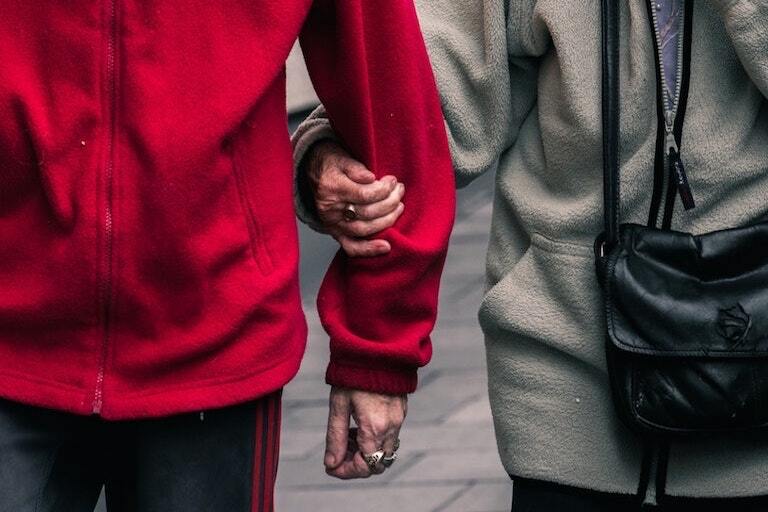 Chances are, if your loved one is over the age of 65, there’s already a 10 percent increase to their likelihood of constant feelings of loneliness and isolation, according to Lori Follett, executive director at The Bridge at Greeley, Colorado. In those who report feeling lonely, the University of California at San Francisco found a 45 percent increase in death, 59 percent increase in the risk of developing mental and physical issues and an overall acceleration of a senior’s need for assistance versus those seniors who remain socially active. At current rates, that’s over one million seniors who are prone to twice the risk of life-changing illnesses. Some common symptoms of loneliness and isolation include depression, restlessness or an overall noticeable change in sleeping habits, change in appetite, change in frequency of phone calls and visits and an increased amount of time spent alone. Some seniors even exhibit symptoms such as an increase in hot showers and baths to subconsciously substitute physical warmth for human connection, as well as the befriending of unlikely people, such as social media scammers or salespeople. What happens if I let this go and do nothing? If left unaddressed, loneliness and isolation in seniors can put them at a greater risk of depression, malnutrition, increase in attention-seeking behaviors, substance abuse and an overall decline in physical and mental health that can ultimately lead to illness or death. I’ve noticed this in myself or a loved one. What can I do to help? The best remedy for isolation and loneliness is genuine, meaningful human interaction. A lot of the time, seniors feel as if they have no place in society and serve no purpose. Showing a loved one, or even yourself, that there’s purpose in life can greatly increase the desire to become more social and help maintain a level of human interaction. This is not only emotionally satisfying – it’s physically and mentally beneficial as well. Some of the best ways seniors can get involved in their community is through a senior center, church organization or other assisted living communities. Even having a pet, if possible, can drastically reduce the chances of a senior feeling isolated. Finding a niche group for a hobby they’re passionate about or a group of people to attend group outings with is also an excellent way to keep seniors involved in the community. Prevention can be key in these situations. Reach out and connect with a loved one, visit them on a regular basis, promote a sense of purpose and encourage them to interact with others around them. This will not only strengthen your connection to a loved one susceptible to isolation, but will in turn help them overcome loneliness and help those around them by encouraging a stronger sense of community. Seniors are some of the most valuable members of our communities. Their experiences and insight are invaluable as time progresses, and many are open and available to give timeless advice when we need it most. Encouraging and helping seniors to overcome loneliness and isolation will not only make their lives better; it will make the community better as a whole. And who knows, maybe we’ll all learn a little along the way. Special thanks to Lori Follett, executive director at The Bridge at Greeley, Colorado, for her insight and thoughts on this matter, and for her willingness to always help those in her community find purpose and meaning while encouraging them to be social, active members where they live.